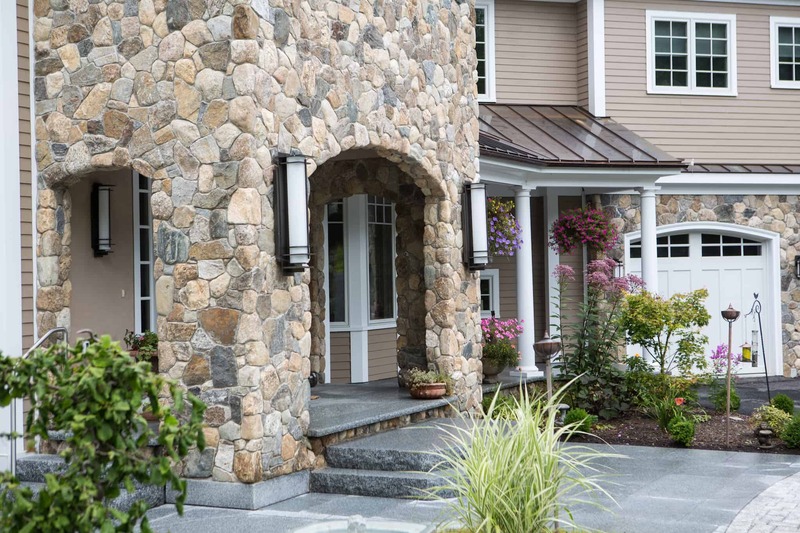 When designing your new home, there are many aspects of construction and design to consider. 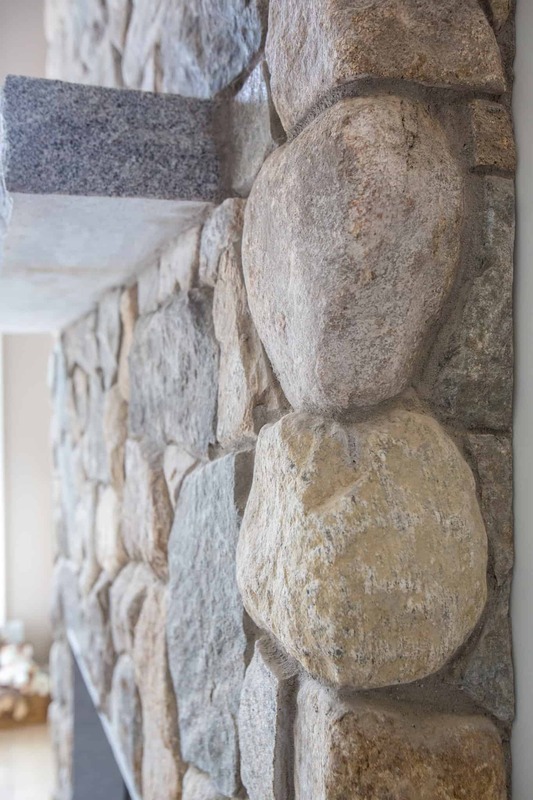 Consistency in design throughout the project is one of them. 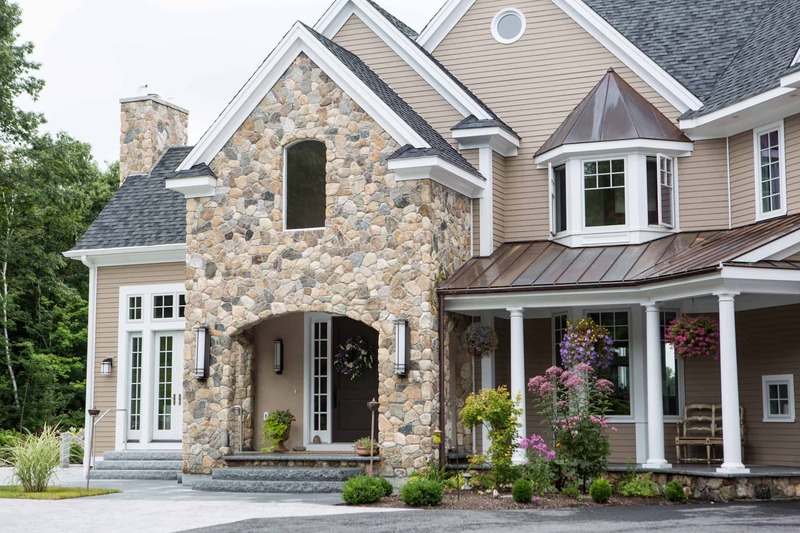 This beautiful home has some great architectural details that really make it unique. 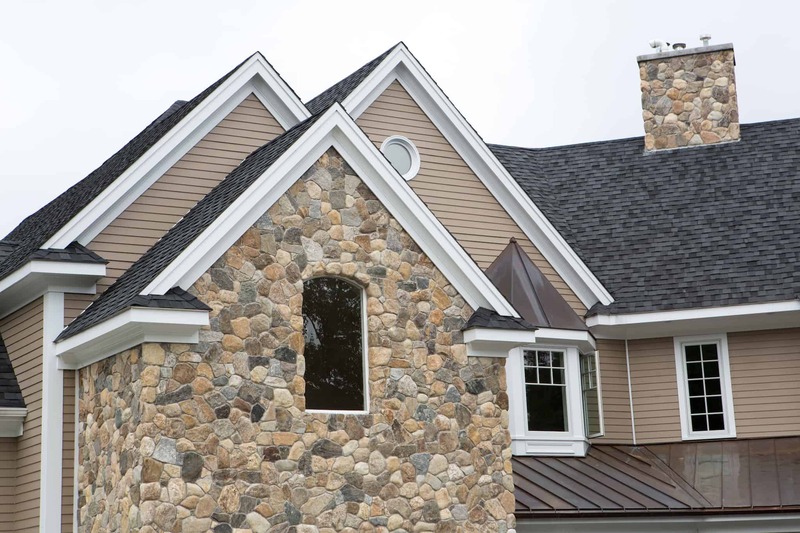 Copper accents were used above the porch and garage. 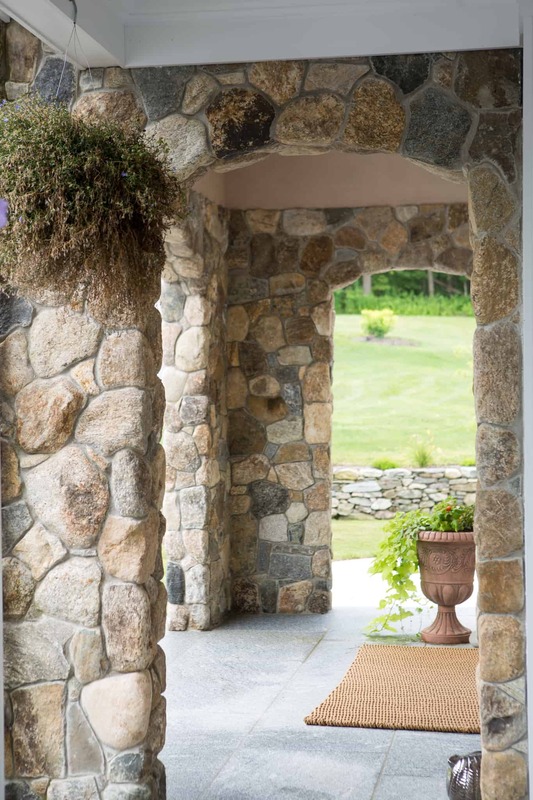 A walk out second story balcony is the perfect evening retreat. 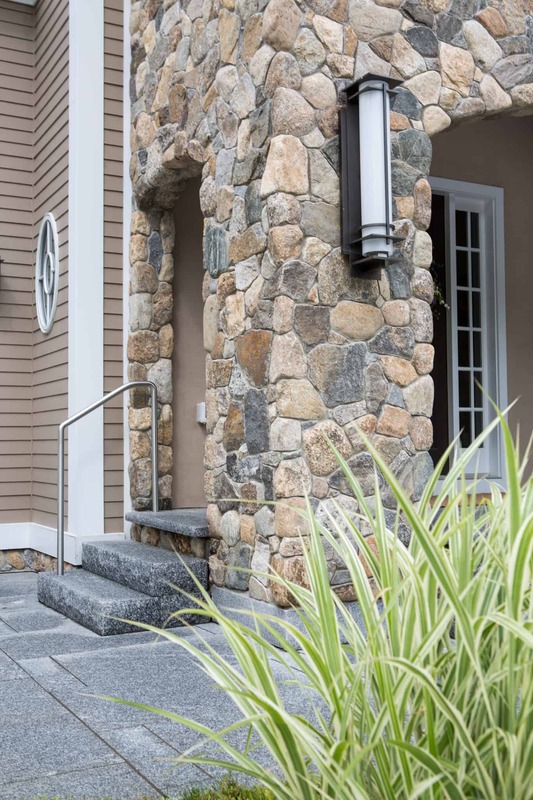 Large granite steps were used at 3 different entrance points. 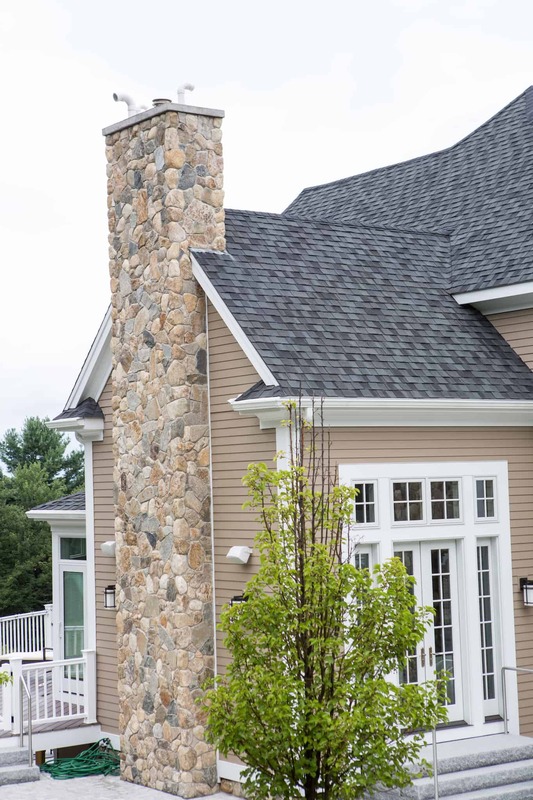 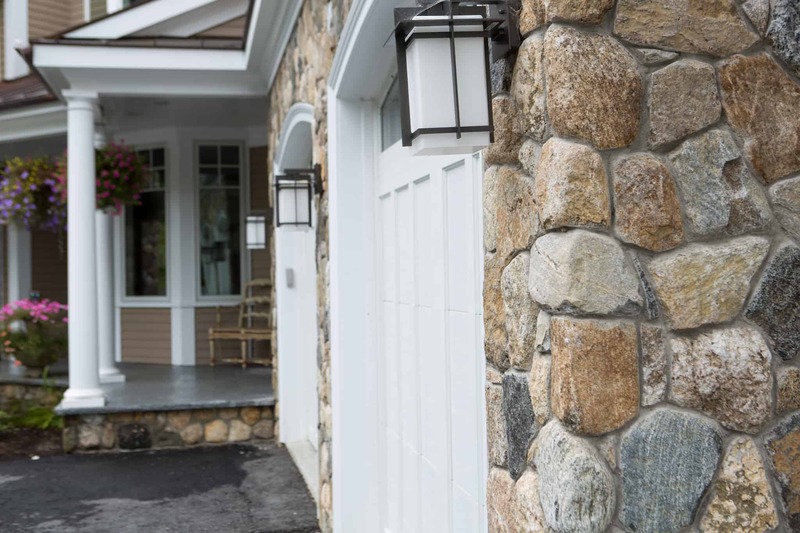 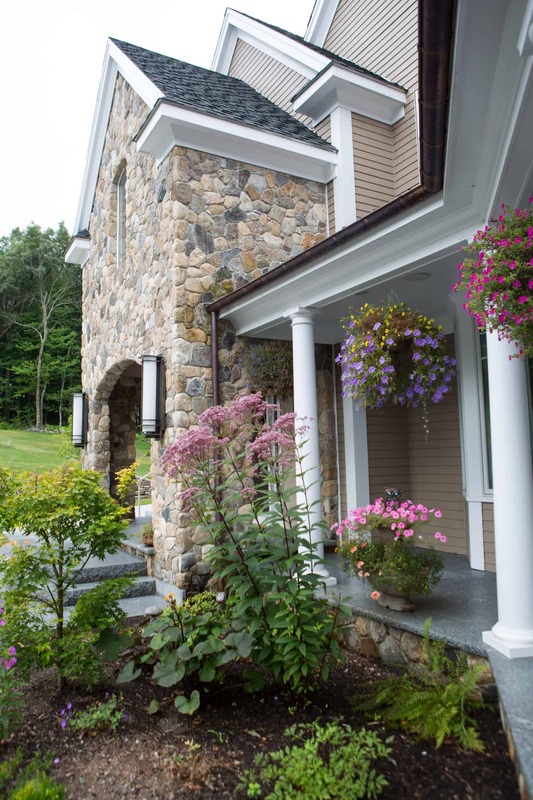 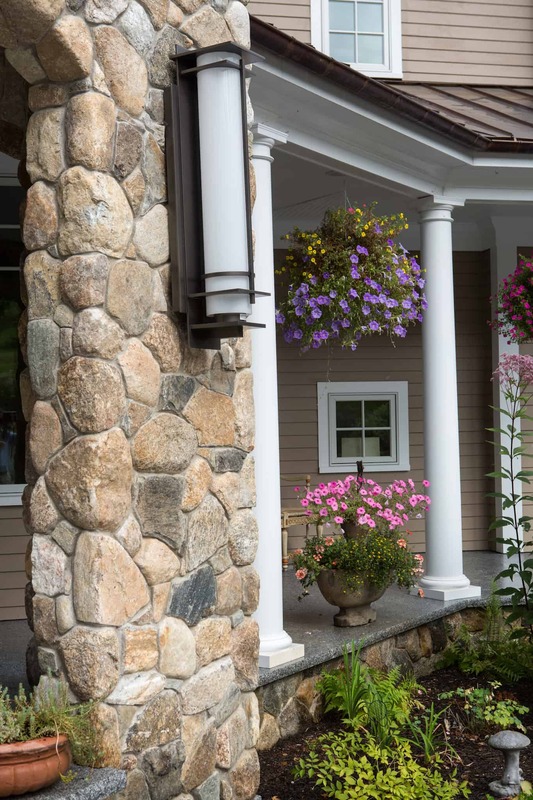 Lastly, the quintessential New England stone, Boston Blend Round, was used throughout the project as siding, chimney stone, columns, and archways. 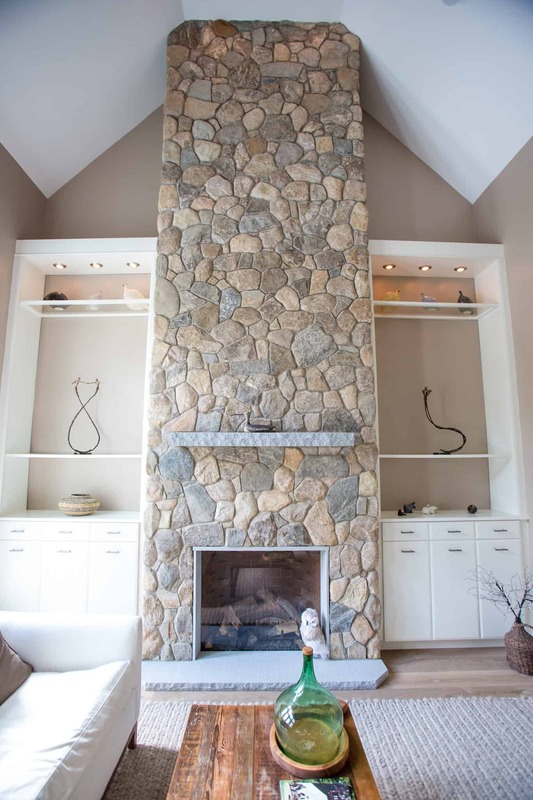 This New England style design was echoed throughout the interior including a grand fireplace in the living room. 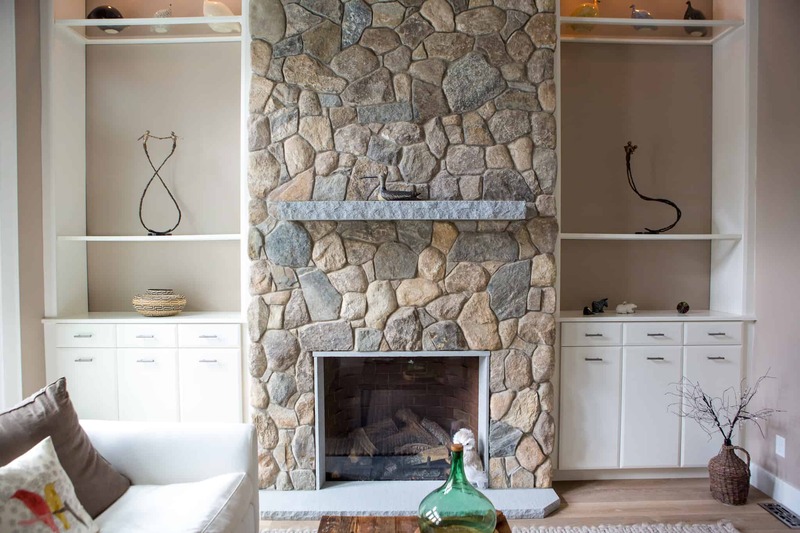 The neutral tones of tan, gray, brown, and white are carried through the color scheme of the room. 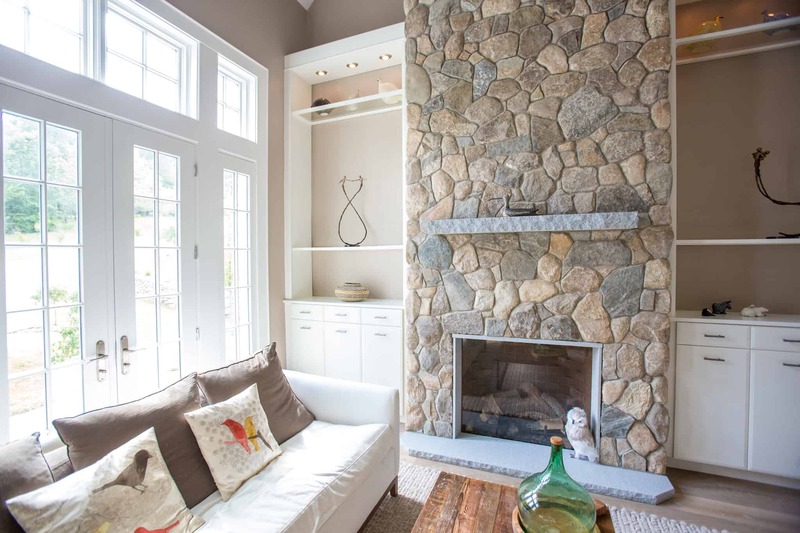 Pops of red and green in accent pieces give you added color without overpowering the space.